LG has recently launched one of its latest offerings, the LG Gentle. 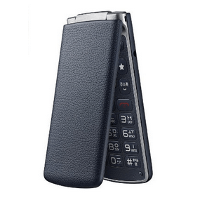 The Gentle is a faux leather flip phone that is running Android Lollipop (5.1). The phone is geared towards seniors and those who prefer an easy to use phone. It features a physical T9 keyboard as well as a touch interface. The specs are nothing to spectacular but it will get the job done. It will be priced at approximately $170 and is currently only scheduled to be available in South Korea.